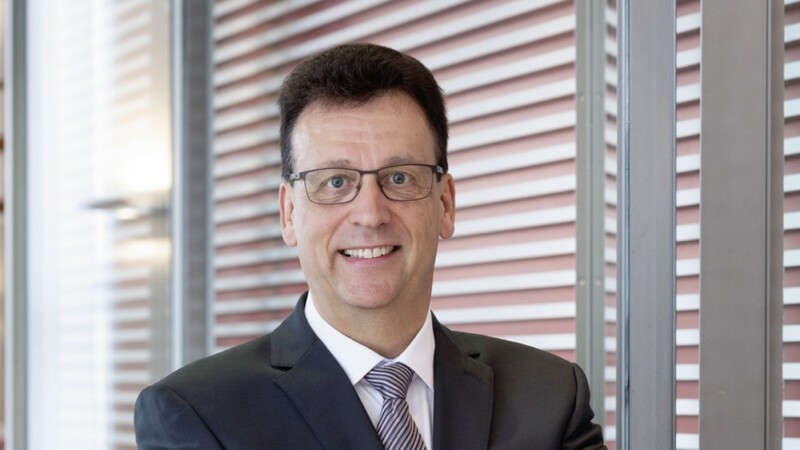 Rauli Hantikainen (58) took over as Head of the Industry 4.0 strategic business sector of the Schaeffler Group at the beginning of September. Rauli Hantikainen (58) took over as Head of the Industry 4.0 strategic business sector of the Schaeffler Group at the beginning of September and will strengthen the Executive Committee Industrial in this role. Mr. Hantikainen is joining Schaeffler from Landis+Gyr, a globally-active provider of energy management solutions and can look back on over twenty years of experience in the field of industrial software and automation. After completing a master’s degree in process engineering at Lappeenranta University of Technology in Finland, Mr. Hantikainen worked for a number of years as a development engineer in the process industry until he joined the energy and automation engineering company ABB in Switzerland in 1992. There he developed the business with industrial software for the process industry in several management positions. In 2010, he took over as head of the software service business in Europe at Landis+Gyr before he transferred to the research and development department. Most recently, Mr. Hantikainen was responsible for software and devices development worldwide at Landis+Gyr. The key task of the Industry 4.0 business sector at Schaeffler is the development of mechatronic rotary and linear products, digital services, sector-specific solution packages, and new, data-based business models. Customers are already using a wide range of Industry 4.0 products and solution packages in different project stages: These include, for example, cloud-based monitoring of auxiliary drives, such as electric motors, in conjunction with a service provider, a complete solution for monitoring and lubricating the operationally critical machinery of a water supply association, and a purely digital service for predicting the operating life of rolling bearings in wind turbine gearboxes. In the next stage, Schaeffler will use this experience to further develop its range of platform-based products and thus respond to customer requirements in a quick and flexible manner. In addition to condition monitoring systems, which detect initial damage as early as possible and predictive maintenance systems, which predict probable failures as precisely as possible, Schaeffler is pursuing other approaches. The company is also focusing on more efficient operation of machines or units through higher productivity or performance, and longer operating times. Key components for all Industry 4.0 solutions are Schaeffler’s mechanical expertise and understanding of systems, which go into the generation of models and interpretation of operating data and thus generate decisive added value for the customer. The objective is to achieve a share of sales of ten percent with Industrial 4.0 products in the Industrial division by 2023. In future, all Industry 4.0 products and solutions will be offered under the Schaeffler brand. A dedicated sales team will ensure close contact with customers. During the last few months, the Industry 4.0 business sector was expanded to around 300 employees.